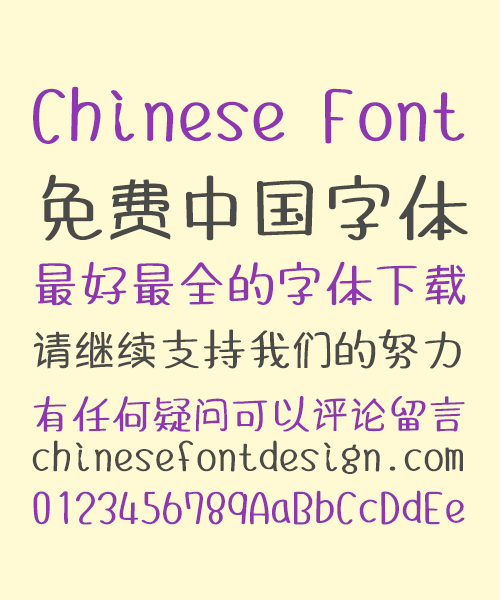 This is a very cute Chinese font style design, you can use it in many warm occasions. This can make people relieve stress. Of course this font does not allow illegal business activities! Unless you get the legal authority of this font author!